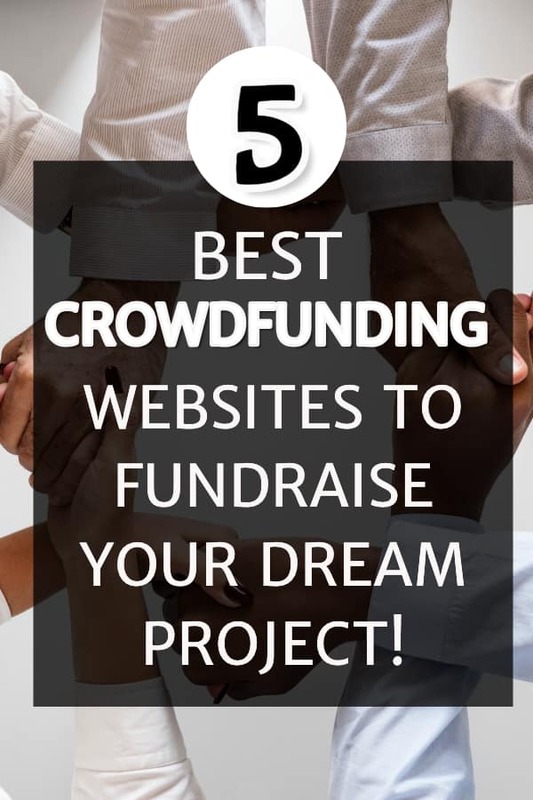 Top 5 Crowdfunding Sites In 2019 And How You Can Use For Your Project! 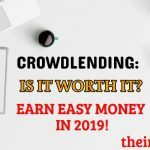 Home » Make Money Online » How To Use Crowdfunding And Top 5 CrowdFunding Sites In 2019! Do you think your friends and family might be willing to chip in a few bucks just because you have a great idea? In that case, you’ll want to look at crowdfunding. Crowdfunding is where you have dozens (or even hundreds) of people invest in your business. Except, in this case, they’re not investing with an expectation of a monetary return. Instead, they’re investing in exchange for a reward. TIP: There are crowdfunding sites where people donate money out of the goodness of their hearts without any expectation of receiving anything in return. 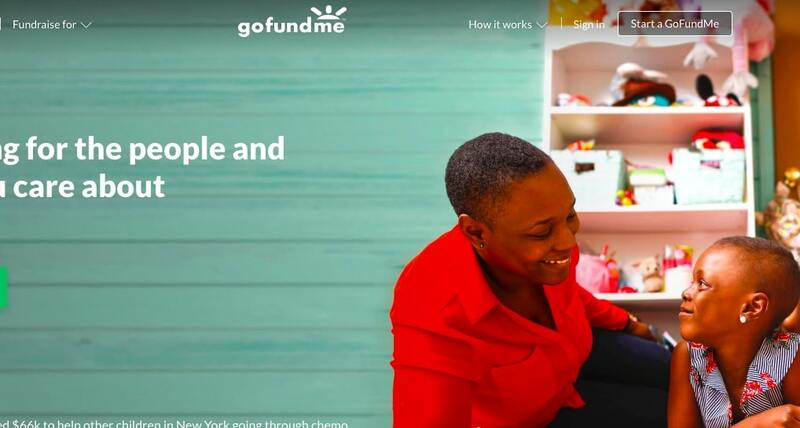 An excellent example of this type of site is at GoFundMe.com. Generally, progressively more significant rewards are offered to those who contribute more money to the business idea. So for example, those who contribute $20 might get their name printed on the website’s list of donors, while those who contribute $500 might get the product, a t-shirt, and some other VIP perks. Kickstarter is considered the hottest crowdfunding site on the Internet. It is Kickstarter, which raised a total of $220 million from 61,000 launched projects so far. Several People explore its listed projects every second waiting to give away their money to the project they think is most exemplary! According to the given guidelines, Kickstarter accepts almost all creative projects but not for causes or awareness campaigns, charity or scholarships, and not for vacations or a new digital camera. It is essentially Kickstarter’s direct competitor, and as such, its feature-set and scope are more or less the same. Indie is the short form of ‘independence,’ so you can assume that this site is directed to help you raise funds and make your personal project ‘a-go-go’ without any difficulty. Unlike Kickstarter though, here you can kick-start any project including donations for charity. 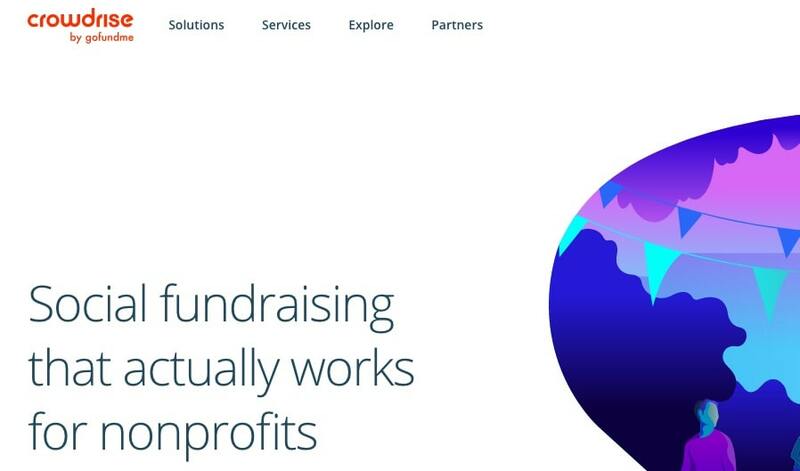 It brands itself as a personal fundraising website. However, this does not mean that they don’t accept business-related projects. They allow their user base to gather funding for a variety of different purposes. Here, you get a lot of supporters to donate for your campaign. Also, it could be everything from a personal traveling fee to your pet’s medication fee. It’s genuinely about donation. 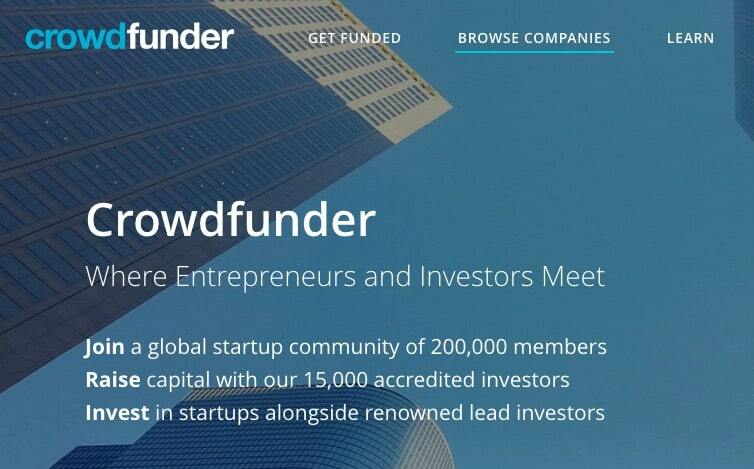 If in the end you still prefer to let an Angel Investor fund your company and if you need help getting their attention, Crowdfunder is what you’re looking for. Crowdfunding helps U.S. startup and small businesses to raise funds by selling equity, debt, and revenue-based securities along with attracting Angel Investors and Venture Capital to your company. Unfortunately, the site is still in beta mode, you can’t start selling as of yet, but what you can do is add your company details to the site for the time being! Meanwhile, in the beta mode, the crowd can vote for their favorite company so that they could invest in the company and later on invest in it. In conclusion, the more people donate to a particular fundraiser, the more Crowdrise Points the fundraiser will gain. Be sure to browse some of the featured and most popular campaigns so that you can get a feel for what works. Then follow these tips to help you design your funding campaign. You need to show your backers that you believe in your business idea by putting your money where your mouth is. That means you should be investing heavily in your business before you ever turn to a crowdlending campaign. One good way to do this is to have at least a draft or prototype of your product ready to go, along with your website. This lets people visualize what you’re doing a bit better, plus it shows them you’ve already put time, money and effort into your business. The key to a successful crowdfunding campaign is to engage your prospective investors on an emotional level. To do this, you’re going to need to write good sales copy, and that sales copy should include a story. This might be a story about the business, a story about the product, or even a story about you. However, don’t veer off and make your campaign all about you. Even if the story is about you, the purpose of the story is to engage your prospective backers. So be sure to tie this story into what investors get when they invest in your campaign. In other words, make investors part of the story. You see, investors don’t invest merely because they want a reward. People back your project because they think you have a good idea. They support you because you’ve inspired them. They back you because they want to support a winner. That’s why your copy needs to inspire them in a way that shows how their contribution can create something bigger out there in the world. So, do you know how to write benefit-oriented sales copy like this? If not, then this is an excellent time to hire a professional copywriter who knows how to do it. It may cost you several hundred or even several thousand dollars upfront to hire a copywriter, but it’s a good investment if you’re looking to raise tens of thousands or even hundreds of thousands of dollars for your venture. TIP: You can post a project on freelancing sites like UpWork.com and Freelancer.com. Some of the better copywriters are too busy to bid on these sorts of sites, so run a search in Google for copywriters. You can also ask your colleagues if they recommend anyone. Be sure to do your due diligence on your choice to be sure you’re hiring a trustworthy professional. The rewards you offer for investment shouldn’t be an afterthought. They shouldn’t belittle “freebies” that you use as virtual pats on the back. Your rewards should be highly desirable and valuable. If you wouldn’t pay money for them, then forget about offering them to your backers. One of the best ways to get a feel for what constitutes a good reward is to go to IndieGoGo.com and Kickstarter.com and view successful campaigns. Check out their rewards. And then check out their copy and their videos to see how they pitch the whole idea and get people interested in the rewards. Now here’s a pro tip. Lends credibility and social proof for your campaign. Gives you more rewards than you could offer on your own. Might give you promotional help (if your JV partner agrees to spread the word). Let’s suppose you’re launching, for example, golfing-related business. Imagine if one of you one of your rewards included a golf glove or other memorabilia signed by a golf pro like Tiger Woods (maybe limit 10 or something like that). You can bet that would be a highly desirable reward, plus you’d get to borrow Tiger Woods’ credibility to help promote your campaign. Okay, so maybe you’re not going to get someone of Tiger Woods’ caliber to contribute something to your campaign. But surely some well-known people in your niche are approachable and likely to say yes. Your mission, should you choose to accept it, is to find these people. Develop relationships with them. And propose a mutually beneficial venture where they offer a reward in exchange for access to your mailing list (or other free publicity). Sometimes people think all they have to do is set up a crowdfunding campaign, and it will take off in a viral firestorm all by itself. Usually, that’s not the case. And that’s why you need to promote it like crazy. You see, if you get backers early, then you’ll have social proof. Simply put, people like to invest in projects that others are investing in. They want to back winners. 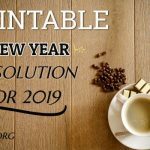 So get your friends, family, and social media contacts to invest early, so you get some significant momentum going upfront. Spread the word on Facebook, Twitter, and other social media. Post a pre-sell pitch video on YouTube. Ask your marketing partners to spread the word. Write and distribute press releases. Create viral products (like reports, videos, etc. ), include a link to the campaign, and distribute these products as widely as possible. Use paid marketing, such as Facebook advertising. In other words, promote your campaign just as you would anything else. Once again, I encourage you to go to IndieGoGo.com and Kickstarter.com to view successful campaigns. Not only will this inspire you, but it will give you a good idea of how to launch your successful campaign. Get Paid $600 To Watch Videos Online From Top 10 Sites In 2019! Need More Affiliate Commission? Checkout This Product Review Template!